It is not easy to qualify for bipolar disability – but it certainly is possible. It is a tragedy that so many deserving Americans are deprived of their legal entitlements to the cash and medical benefits that they need because of a complex and confusing system. Don’t give up! Help is available. The fact is that the Social Security Administration (SSA) denies approval to over 60%-70% of the people filing their initial applications. Win your Social Security Disability Claim! The Social Security Administration provide a Disability Starter Kit to help you get ready for your disability interview or online application. These official kits provide information about the disability program and the SSA’s decision-making process. This can help take some of the mystery out of applying for bipolar disability. 1. Fact sheet that answers questions most people ask about applying for bipolar disability benefits. 3. Worksheet to help you gather and organize the information you will need to claim bipolar disability. Also see this Overview on Bipolar Disorder Disability and other Social Security Benefits from NAMI (National Alliance on Mental Illness). STEP 1 – is the individual “working”? The SSA definition of working is “engaging in substantial gainful activity”. Earning more than $860 a month as an employee is enough to be disqualified from receiving Social Security disability benefits. STEP 2 – is the disability severe enough to significantly limit the individual’s ability to perform basic work activities needed to do most jobs? STEP 4 – Can the individual perform work he/she has done in the past, despite the disability? If SSA finds that a person can do his/her past work, benefits are denied. If the person cannot, then the process proceeds to the fifth and final step. STEP 5 looks at age, education, work experience and physical/mental condition to determine what other work, if any, the person can perform. To determine disability, the SSA follows vocational rules, which vary according to age. Should I hire a disability expert? This is an individual decision that varies according to personal circumstances. If you feel overwhelmed by the very idea of trying to organize all your paperwork, or if you feel the stress involved would make your condition worse, then maybe you should consider it. The cost of hiring expert help will be less than the amount of your overall benefits. The amount you may be charged by an attorney or specialty firm like Allsup is regulated. Usually it will be 25% of back benefits, up to a maximum of $6,000. 1. Expect to have to put some effort in. There is is still a lot of ignorance around bipolar disability and this makes it harder to get approval from the SSA, compared to someone with an an obvious physical disability. You can walk, talk and fill in forms – so “what is your problem?” – Yeah, right! 3. Involve your psychiatrist or other members of your medical team. 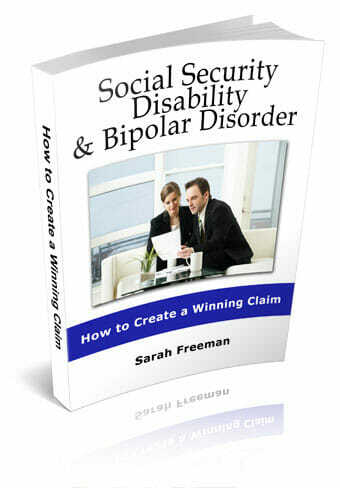 The SSA will not approve your claim for bipolar disability without medical support. 4. File as soon as possible. The process is slow – 3 to 5 months – and even slower if you need to appeal. 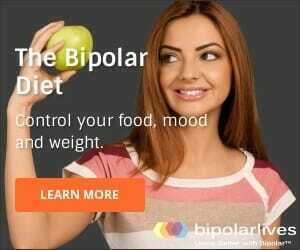 ability to work so other records such as your Bipolar Mood Charts may be very useful. 6.Ask your doctor to complete an RFC form for you. However, remember that you cannot get bipolar disability just because your doctor considers you eligible. It is the SSA who decide. polite. The process can be very frustrating but will only be worse if you lose your cool. The folks at the SSA are just doing their jobs and everything will go smoother if everyone can stay nice. 8. Copy everything! Never give an original document unless you get a copy of it of first. Keep a complete mirror file of all your completed forms, records and any other paperwork. 9. Consider using experts like Allsup or Binder and Binder to guide you through the process. Allsup only charge you if your claim is granted, and their success rate is an incredible 98%. 10. Appeal! Remember – most initial claims for bipolar disability are denied, but with the right help, most appeals are (eventually) granted.